(Ace Records) 26 tracks - all female 50s rockers with 12 page booklet. 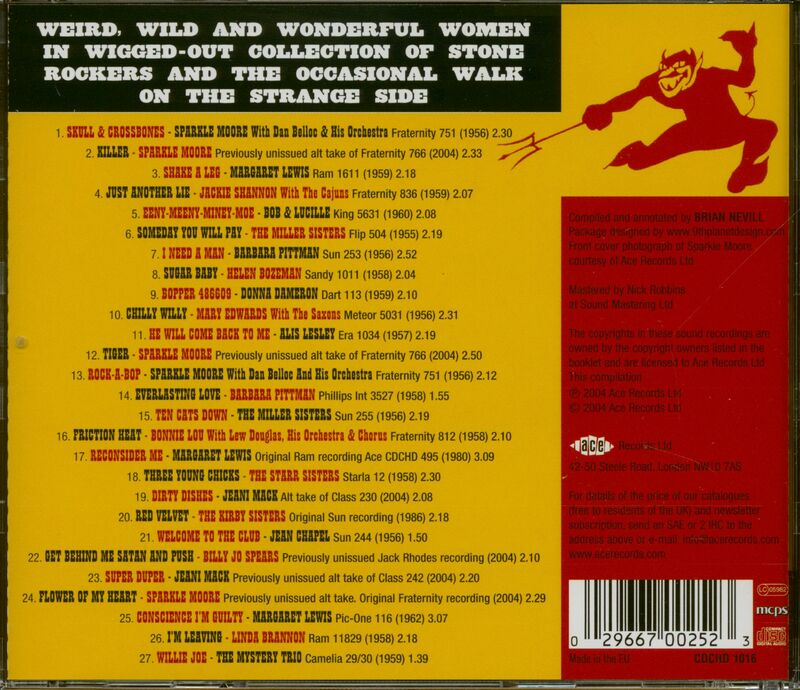 A compilation that spotlights weird, wild and wonderful women in a wigged-out collection of stone rockers and the occasional walk on the strange side. It features all Fraternity Records bombshell Sparkle Moore's rockin' together on one CD, including alternate takes. Plus alternate unreleased sides by Jeani Mack & Billie Jo Spears, with obscure sides by Janice Morgan & others. 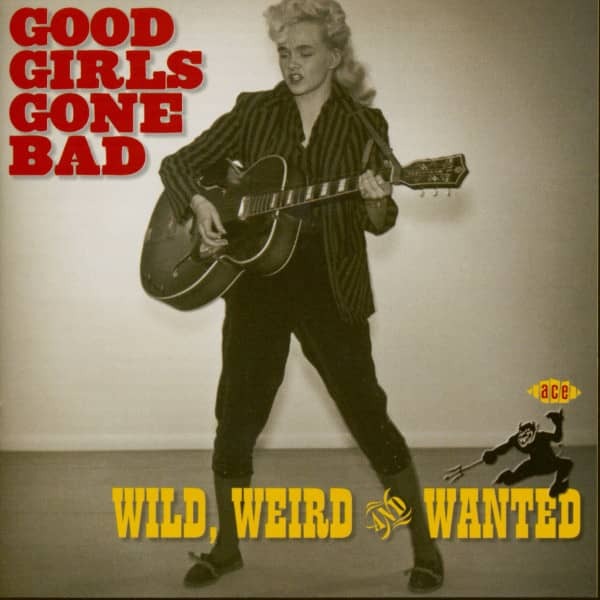 Customer evaluation for "Good Girls Go Bad - Wild Weird And Wanted (CD)"